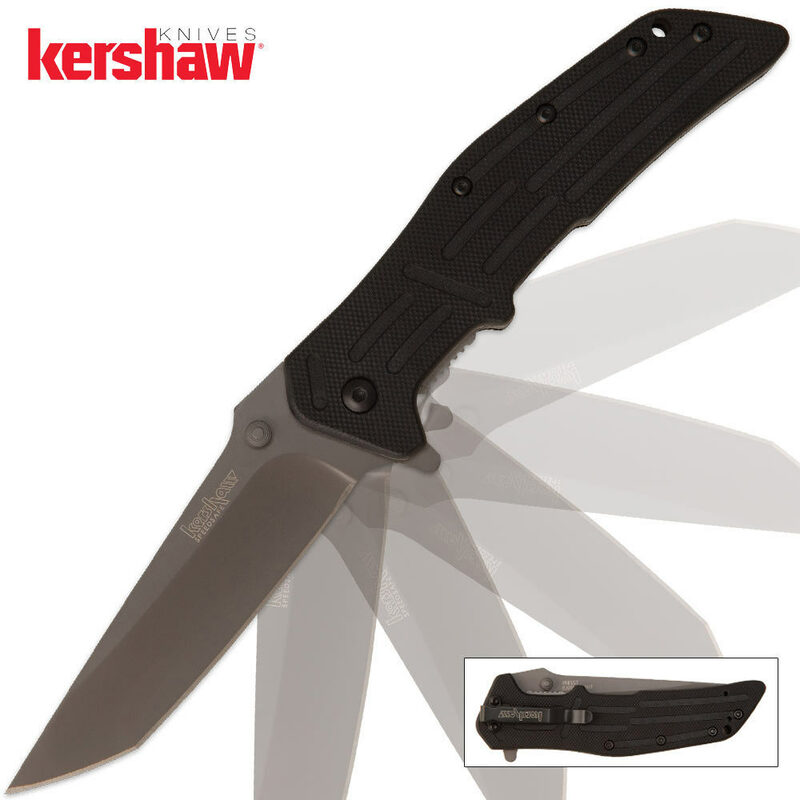 Kershaw RJI Assited Opening Pocket Knife | BUDK.com - Knives & Swords At The Lowest Prices! Designed by RJ Martin, the RJ I's blade design and grind provides a moderately curved belly with plenty of slicing power, plus a flat-ground tanto tip that’s significantly thicker than comparable tantos. The result is Lumber-strong tip that takes on the toughest piercing tasks with no fear. The RJ I features 3-D machined G-10 handles with a stainless-steel liner lock on the back only, making it a lightweight carry. It opens easily with SpeedSafe assisted opening with a handy flipper or thumbstud and carries tip-up or tip-down for right-handers and tip-up for lefties. 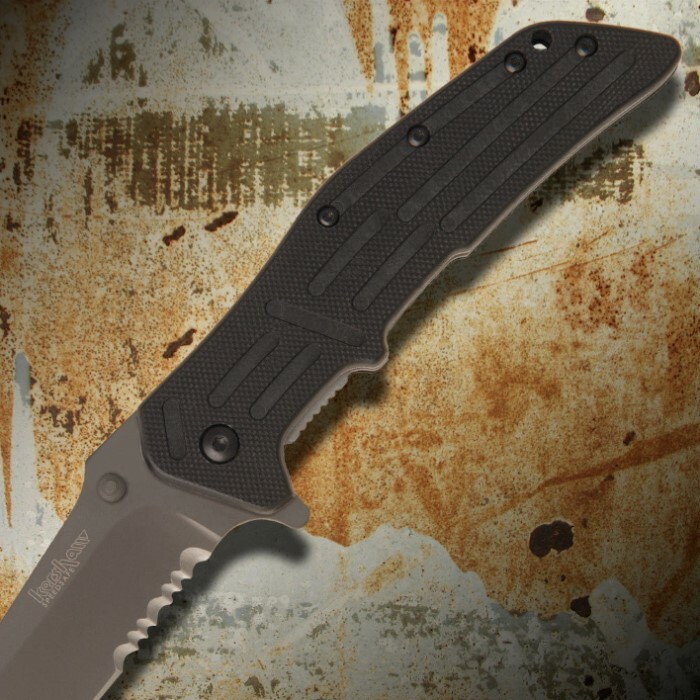 The 8CR13MOV stainless steel blade has cutting power for tough jobs. 3 ½” bl, 4 5/8” cl, 8 1/8” ov. I wanted a pocket sized knife with a non serrated blade and a search came up with this one. I love the assisted opening using the flipper stud on the back but I have trouble using the thumb stud on the blade. Anyway it seems well made, comfortable to hold and keeps an edge just fine. I sharpened it some more after receiving it and it cuts very well. The assisted opening on this knife works really well with the "flipper" stud on the back. But the thumbstud is not as easily initiated and I don't think I trust it as much. It seems well made and comfortable in my hand. The pocket clip can be switched to either end for "tip-up or tip-down" carry, however it requires such a tiny star driver that my super duper got it all set of star drives can't fit in there.